It might be possible that you are using an iPhone along with an Android phone. No doubt that iPhone has many features as compared to Android. But, there are still some features which are unavailable in iPhone and is luckily available in Android that made Android phone a compete packaged phone. I have already posted an article about how to transfer data from iPhone to Android. So, make sure you check it out if you wanna transfer data from your iPhone to Android. 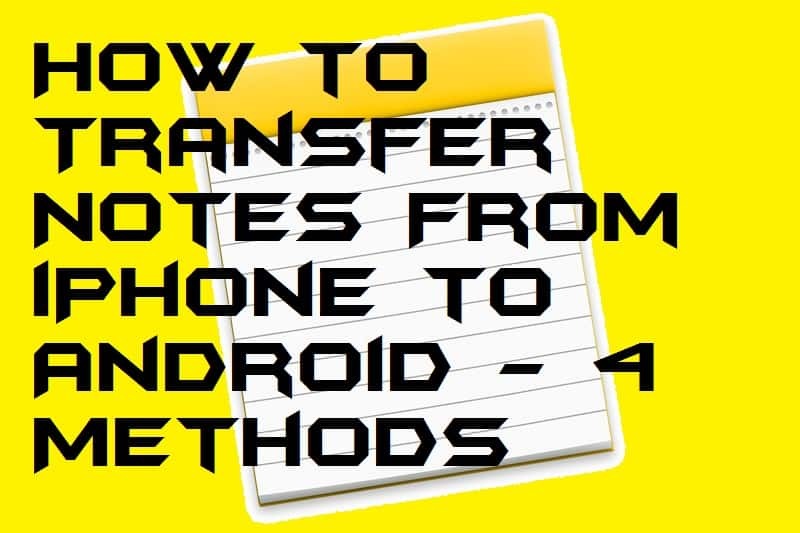 Besides of it, have you ever thought that how you can transfer notes from iPhone to Android? If not, then don’t worry because this article is all about the same. This section of the article is gonna teach you how you can transfer notes from iPhone to Android using four different ways. Top three methods are about to transfer notes from iPhone to Android using iClouds, Gmail, and Outlook. But, the last one is by using the most popular software company that is Wondershare. Just make sure that you check out all the methods which are listed in this part of the article. You can also check how to transfer files from iPhone to PC without iTunes, it’s amazing. We all know the using iCloud we can sync everything to the iCloud’s server. iCloud is a cloud storage service which is offered by Apple. Using iCloud service one can easily transfer notes from iPhone to Android. The method to do so is stated below. Now, click on the Cloud option. Then, click on the Storage and Backup option. After that, click on the Backup Now button. Now, you have to open iCloud on your desktop web browser. Just email the notes to your Gmail account which is added on your Android phone. That’s it. This is how you have to transfer notes from iPhone to Android using iClouds. Gmail can also use if someone would like to transfer notes from iPhone to Android. Not the majority of the peoples know about it and that is why I have shared this guide with you guys. Because you have to add a Google account on an Android phone though that account can be utilized by transferring notes from iPhone to Android. So, let’s check out the entire procedure for that. On your iPhone, open the Settings. Now, click on the Mail, Contacts, Calendars option. Then, click on the Add Account button. After that, tap on the Google option which is listed there. Enter the login details to add your Google account. Lastly, just make sure that you enable the toggle of Notes so that the notes will be synced. Outlook is an email service of Microsoft. If you don’t have any of the Google accounts but having an Outlook account then don’t worry because you can take the help fo that accounts to transfer notes from iPhone to Android. However, it will be quite complicated or you may say technical method but, don’t worry I will guide you in an easy way. Using a USB cable, connect your iPhone to your PC/laptop. Now, open iTunes on your PC/laptop. Then, click on the Info option, listed at the left side of the menu. After that, click on the Sync with notes checkbox and select Outlook from the dropdown menu. Lastly, click on the Sync button. This will send all your notes to your Outlook account. Just add that account of Outlook on your Android and you are good to go. Dr.fone is a mobile transfer tool which is developed by the famous video editing software maker company Wondershare. You can take the help of dr.fone software if you want to transfer notes from iPhone to Android. Also, it is free to download tool that allows you to not only transfer notes but also you can transfer any media, contact, more things. So, go through the article and learn the way to do so. Get the dr.fone software on your PC or laptop. Now, open the software and connect your iPhone and Android to Pc or laptop using a USB cable. In the content option, select Notes and then click the Start Transfer button. Wait for a few seconds, it will transfer all your notes and you are good to go. This was all about how you can transfer notes from iPhone to Android using four different ways. There is more software available for free and paid by which you can easily transfer notes from iPhone to Android within a click. Also, make sure that you follow the first method, but if somehow it didn’t work for you then you can take the help of others as well. 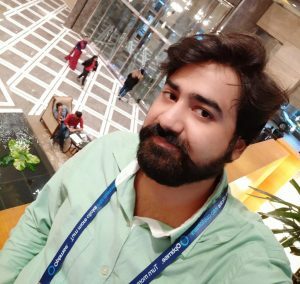 I hope this article has helped you a lot in learning how to transfer notes from iPhone to Android. If you know someone who wants to transfer notes from iPhone to Android then do share this article with that person.